Anderson Cooper opened AC360 with a rundown of tonight's program highlights: 'Clearly a Bully' - should the Michigan Assistant States Attorney be fired? Rutgers Suicide - Dr. Phil to weigh in and Doctor Detectives - a follow up with Dr. Sanjay Gupta. TRAGIC RUTGERS SUICIDE, CYBERBULLIED STUDENT JUMPED OFF BRIDGE: Anderson Cooper's discussion with Dr. Phil McGraw, Host of "The Dr. Phil Show"
DOCTOR DETECTIVES: Replay of Sanjay's report on Sally Massagee and a follow up interview with Sanjay and Sally. EXTRAS: From Twitter today. 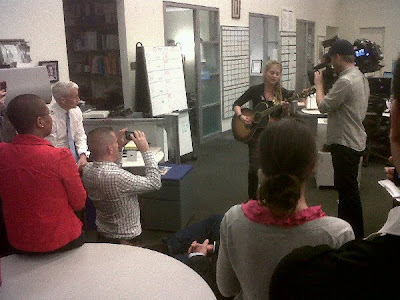 Apparently, the taping of the Town Hall on Bullying Special took place today and Crystal Bowersox stuck around the newsroom for a bit and entertained the staff. The Trevor Project at 866 4U TREVOR. It's a 24 -hour national help line for gay and questioning teens. Earlier this week we received a press release about the combined CNN/People Magazine/Cartoon Network anti-bullying campaign that will happen next week. As part of a larger commitment to the anti-bullying efforts across various Time Warner divisions, CNN, PEOPLE Magazine and Cartoon Network will team up for a special multi-platform report on the bullying epidemic facing young people in America. 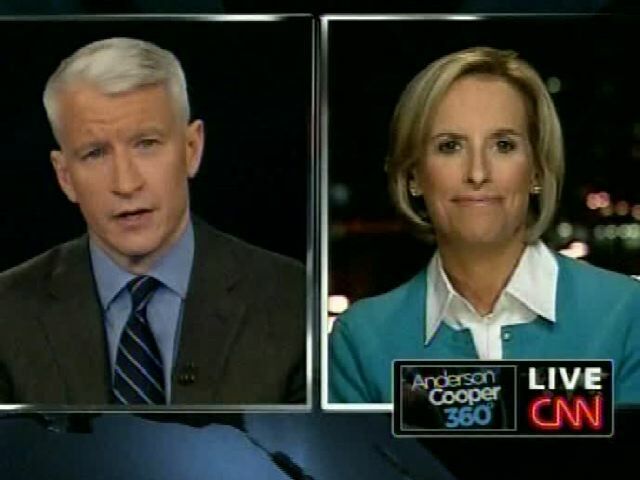 CNN’s Anderson Cooper, who has covered numerous stories about the rise of bullying, will recognize October’s Bullying Prevention Month by presenting a one-hour special town hall on Anderson Cooper 360°. The town hall, titled Bullying: No Escape; an AC 360 Special Report with PEOPLE Magazine and Cartoon Network, will air Friday, October 8th at 10pm ET on CNN. The town hall participants will include author and psychologist Dr. Phil McGraw, and Rosalind Wiseman, author of the best-selling book “Queen Bees and Wannabees”, which inspired the movie “Mean Girls”. American Idol finalist Crystal Bowersox will share how being bullied fueled her creative passion and how she plans to protect her son from experiencing what she did. Also, families struggling with this painful and important issue will discuss how bullying has become so prevalent and what parents and children can do to stop it. Cartoon Network Bullying Prevention Board members Kevin Jennings, Assistant Deputy Secretary of Education for the Office of Safe and Drug-Free Schools, and Dr. Susan Limber of the Institute on Family and Neighborhood Life, Clemson University, also will participate with the AC 360 town hall to discuss the latest understandings and response options for bystanders, who represent 75-85% of students in schools considered witnesses to bullying. Cooper will explore who bears the responsibility to stopping bullying. PEOPLE Magazine has dedicated significant coverage to the bullying epidemic over the last several years. The magazine will run a bullying package in the October 18 issue which hits newsstands on October 8. This special editorial section will feature interviews with residents of South Hadley, MA, Phoebe Prince’s hometown, confessions of a former bully, stories from students who were tormented in school and much more. Service Administration’s “Stop Bullying Now” campaign, on-air PSAs will direct young viewers and parents to visit CartoonNetwork.com for key online resources developed in coordination with the network’s recently established Bullying Prevention Advisory Board. 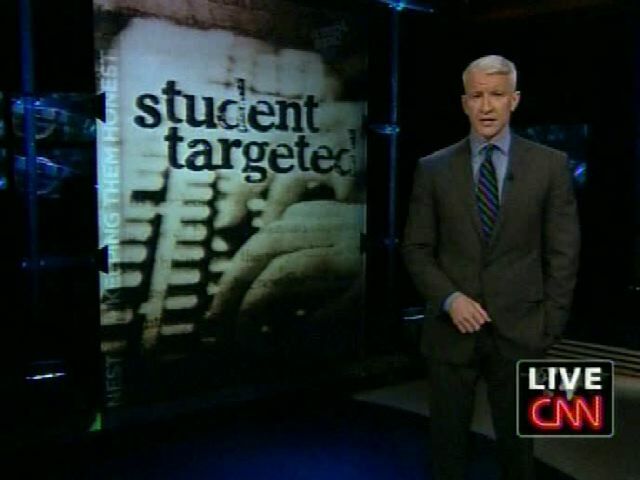 Across the CNN Platforms, programming can also be seen on CNN’s American Morning in a special series, “Back to School=Back to the Bullies”, and on a special section of CNN.com (www.CNN.com/Bullying ), iReport, HLN and CNN Student News. 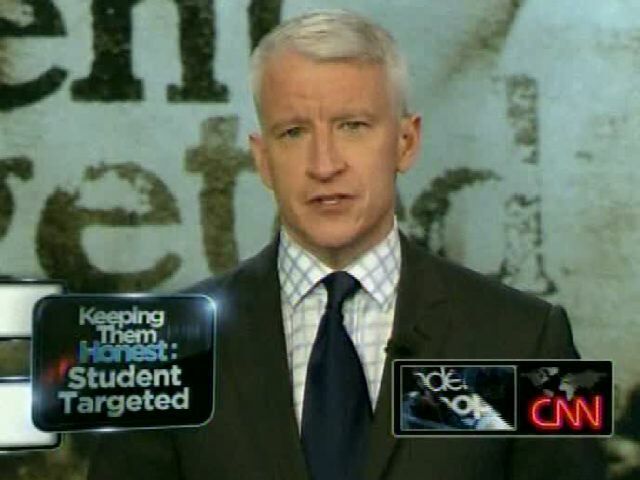 Leading up to the town hall, Anderson Cooper 360° , in conjunction with PEOPLE Magazine will air a week-long series on bullying, beginning Monday, October 4th at 10 pm ET. The reports will include interviews with Debbie Witsell, the mother of Hope Witsell who killed herself after becoming the victim of sexting bullying. The reporting will look into the world cyber-bullying, how deadly comments on the web can be for some children. 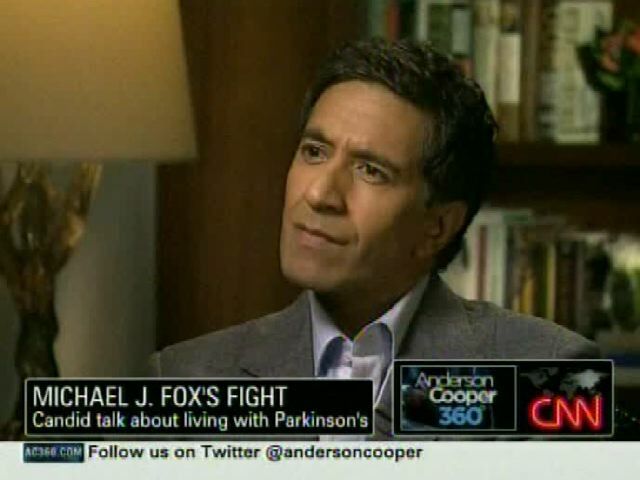 Dr Sanjay Gupta will explore the different techniques used to increase empathy to stop bullying amongst kids. The series will also update the latest in the Phoebe Prince case, another teen suicide as a result of bullying. Also, families struggling with this painful and important issue will discuss how bullying has become so prevalent and what parents and children can do to stop it. BURBANK, Calif. (September 30, 2010) -- Anderson Cooper has signed a deal to host a new, one-hour daily daytime strip, set for national syndication launch in Fall 2011, it was announced today by Ken Werner, President, Warner Bros. Domestic Television Distribution, and Hilary Estey McLoughlin, President, Telepictures Productions. "Over the course of the past few years, I've had the opportunity to work on a number of daytime programs," said Anderson Cooper. " 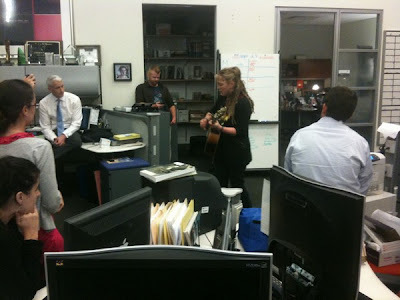 It's fun and interesting to work in daytime television. The format is unique and you can really go in-depth on a wide range of fascinating and compelling stories. With this new program I hope to relay important information and relate to people and the audience in a completely different way. It's an exciting opportunity to show another side of myself and create something worthwhile and special in daytime." "There is a great opportunity in the marketplace for this type of show," said Ken Werner, President, Warner Bros. Domestic Television Distribution. "Fall '11 begins a transition period when long established franchises are leaving the air and making way for a new generation of shows. Anderson Cooper is one of the most distinctive voices of the next generation of television. His popularity and skills uniquely position him to be the next big syndication franchise." "The hallmark of Telepictures' success has been attracting iconic talent and building franchises based on their personalities. From my early days working with Rosie through our success with Ellen, we have been able to identify great talent at the right time that fills a void in daytime. Anderson fills that void today, and I'm thrilled that we'll be welcoming him to the Telepictures family. Anderson is one of those rare talents that has a relatable and authentic persona, a keen sense of humor and intelligence and has already demonstrated his ability to resonate with daytime viewers," said Hilary Estey McLoughlin, President, Telepictures Productions. Cooper will bring his passionate voice and personal perspective to a topical daily talk show that will tell the stories that are capturing the daytime audience's attention. The show will have a broad palette that will cover social issues, trends and events, pop culture and celebrity, human interest stories and populist news. Cooper will tap into his compassion and fascination with the human condition and share compelling and provocative personal stories and tackle the issues that will stir debate while bringing his humorous take on what is top of mind for the daytime audience. Cooper will address water cooler topics and interview the real people, populist newsmakers and celebrities behind these stories. From undercover investigations to hidden camera experiments, the show will give the audience new perspective in an effort to gain insight into relevant issues and social trends affecting women's lives. 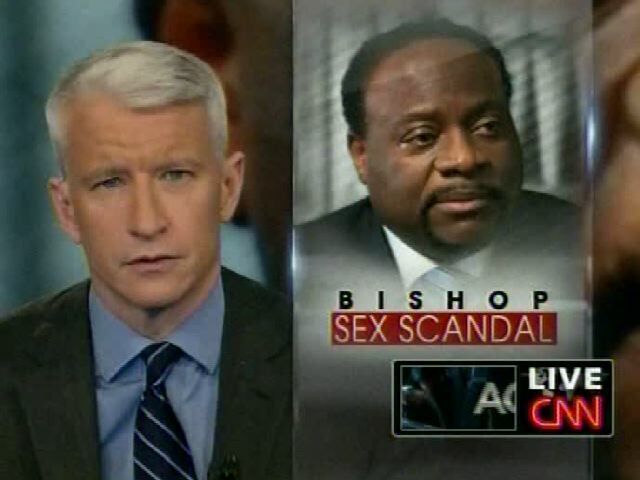 In addition, Cooper will hold town hall meetings on hot button issues from race to infidelity to Internet predators. When there is breaking news, he will take the audience along with him right into the eye of the storm, as he goes beyond the headlines and into the lives of those affected. The show will feature audience participation both in the studio and live chats with home viewers. 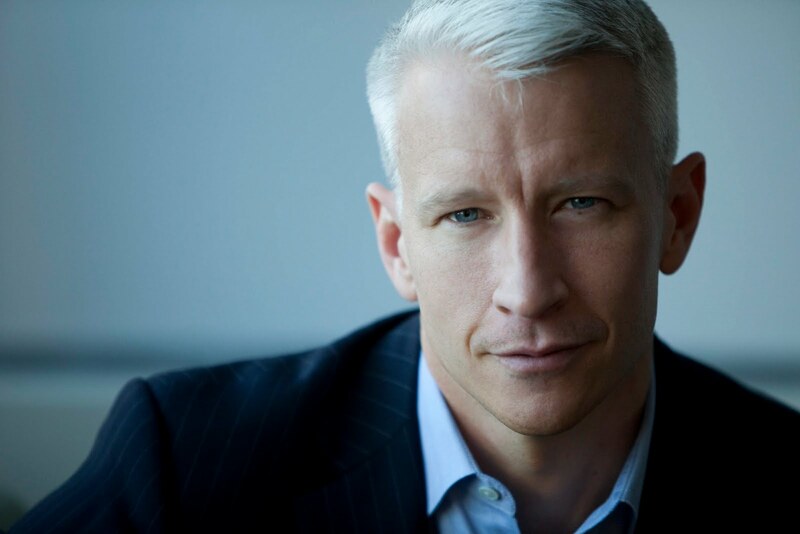 Like his predecessors Oprah Winfrey and Phil Donahue, Anderson Cooper will create a daily destination for multiple generations of women looking to be informed and entertained, gain perspective, and stay connected to each other and the world around them. 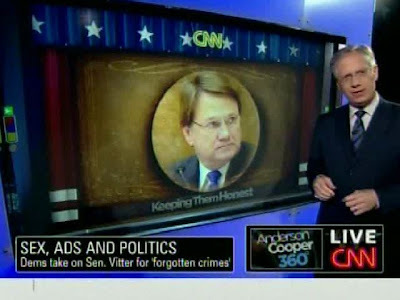 Cooper will continue to anchor CNN's "Anderson Cooper 360," a provocative alternative to the typical network evening newscast, airing weeknights at 10 p.m. ET. 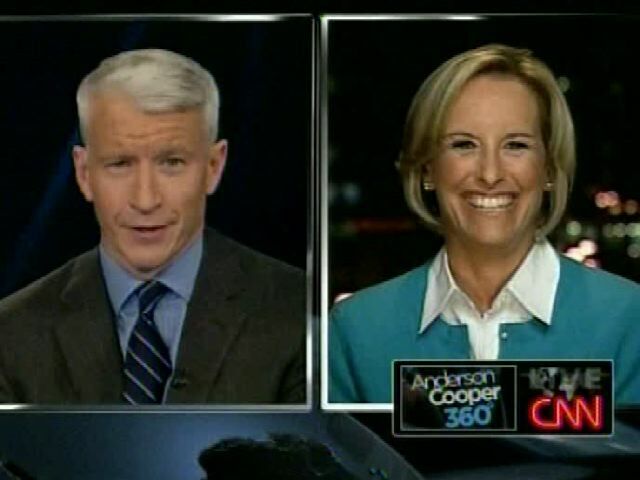 Cooper joined CNN in December 2001 and served as CNN's weekend anchor before moving to prime time in March 2003 following the war in Iraq. In addition to reporting for CNN, Cooper, an award-winning journalist, also provides reports for CBS's "60 Minutes." Dispatches from the Edge, Cooper's memoir about covering the South Asia tsunami, Hurricane Katrina and other news events, topped the New York Times Bestsellers List and other bestseller charts. 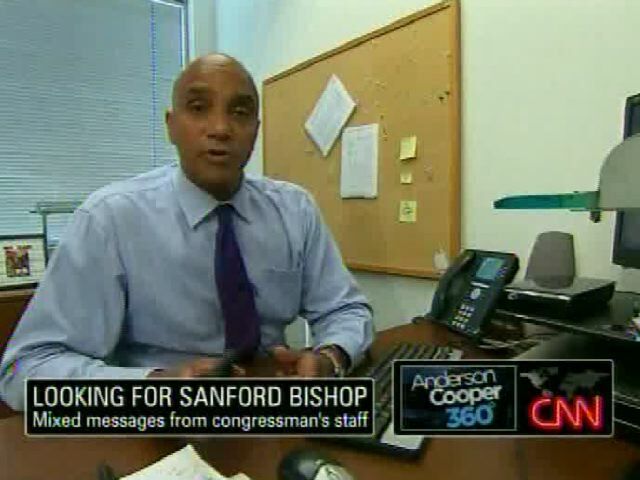 Before joining CNN, Cooper was an ABC News correspondent and host of the network's reality program, "The Mole." He anchored ABC's live, interactive news and interview program, "World News Now," as well as providing reports for "World News Tonight," "20/20" and "20/20 Downtown." Cooper graduated from Yale University in 1989 with a Bachelor of Arts degree in political science. He also studied Vietnamese at the University of Hanoi. The show will be based in New York City and produced by Telepictures Productions in association with StrongChild Productions and Anderson Cooper will serve as an Executive Producer. On tonight's Anderson Cooper 360: follow up on yesterday's story of the college student who is being targeted by Michigan's Asst Attorney General Andrew Shirvell, a campaign ad that reenacts a senator's alleged visit with a prostitute, and an interview with Michael J. Fox. 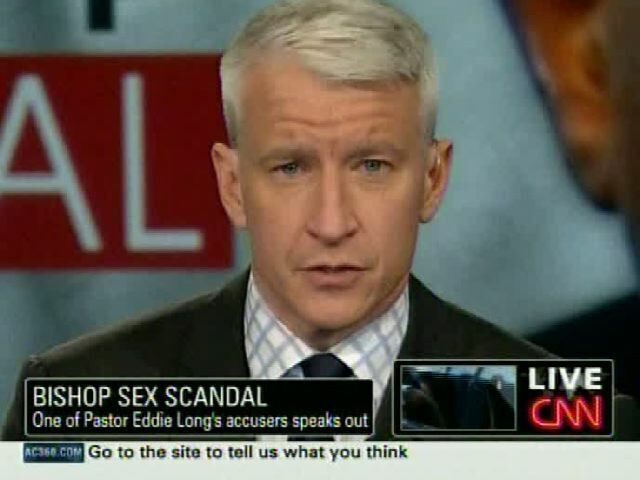 Exclu: CNN anchor Anderson Cooper is close to a deal for a syndicated daytime talk show. 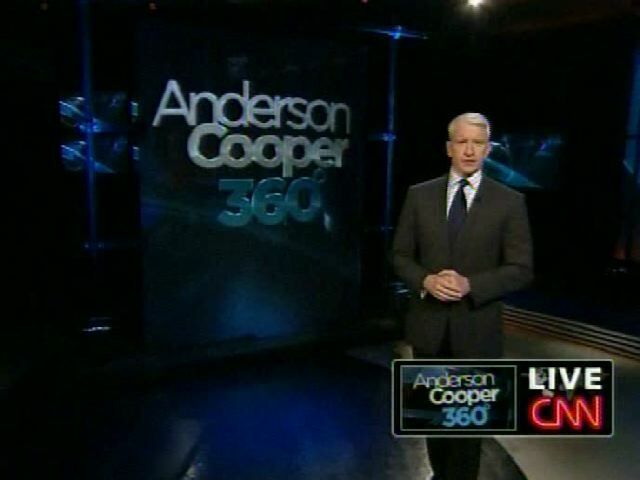 The "Anderson Cooper 360" host is deep in talks with Telepictures Productions and Warner Bros. Domestic Television Distribution for a program that would be pitched to stations in the next couple of weeks targeted to launch in fall 2011. The as-yet-untitled project will not have a hard-news focus, though given Cooper's background, he'll likely bring a more journalistic approach to handling popular topics compared to most daytime fare. The show is billed as a topical format that will cover everything from celebrities and pop culture to social issues and wide-interest news stories. Using his well-established interview skills, Cooper's show is expected to welcome a broad range of guests and tackle debate-provoking subjects. Cooper would also serve as an executive producer. The talk show deal is complex because its being coordinated between Warner Bros., Cooper and Cooper's employers at CNN -- who have an exclusive contract with the newsman. The deal, which has been in talks for more than a month and may close by the end of the week, calls for Cooper to continue hosting "360." With a lot of moving parts at play, however, sources caution the deal is not yet a sure thing. Warner Bros. hopes to launch Cooper's show next fall, coming into the marketplace just as talk queen Oprah Winfrey exits to launch her cable network OWN. The vacancy has spurred a surge of talk contenders whose projects are in various stages of deployment (including Dr. Oz, Nancy Grace and Jenny McCarthy). Cooper's show would air in early fringe in a cash-plus-barter deal, counter-programming more celebrity-oriented programs such as "Access Hollywood." It's not yet clear which station group Warners will line up as its first carriage partner to help galvanize further clearances. Cooper has flirted with becoming a talk show host before. He recently experimented with a talk-style format during his "360" tapings. Last year Cooper was rumored to be under consideration for replacing Regis Philbin on "Live! With Regis and Kelly," a show he's guest hosted several times. The arrival of Cooper on the syndie scene would represent the rare crossover of a TV personality from serious primetime news into the daytime space. Cooper could draw comparisons to silver-haired daytime legend Phil Donahue, though Donahue originally only hosted morning news and radio programs. "The View" co-hosts Barbara Walters and Meredith Vieira, however, both have extensive news experience. The Ad Council and Google invite you to a fascinating dialogue on engaging and activating the public during times of emergencies or crisis. 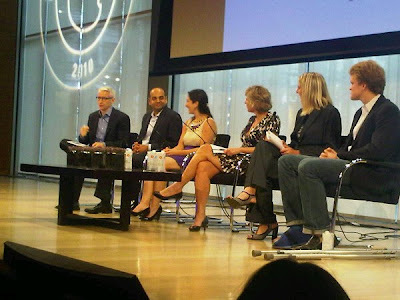 Moderated by CNN anchor Anderson Cooper, this panel of thought leaders will feature the American Red Cross, Special Olympics, Save the Children, Facebook and Google. WHAT: Whether it’s a natural disaster, looming social crisis or an issue that is suddenly in the public’s eye, is your organization ready to respond? Learn about the latest innovative tools you can use to leverage an unexpected opportunity to engage, advocate and take action. 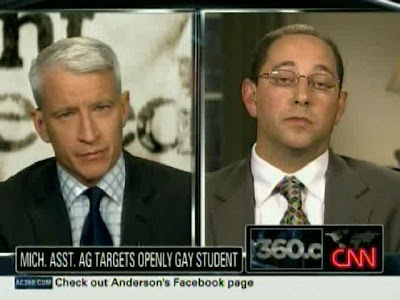 Anderson opened 360 with a rundown of tonight's stories: a college student in Michigan has been targeted by a public official, concerns about a new terror threat, and the defense rests on the trial of the home invasion in CT.
TV by the Numbers posted a new article today on 360 and their staggering ratings. 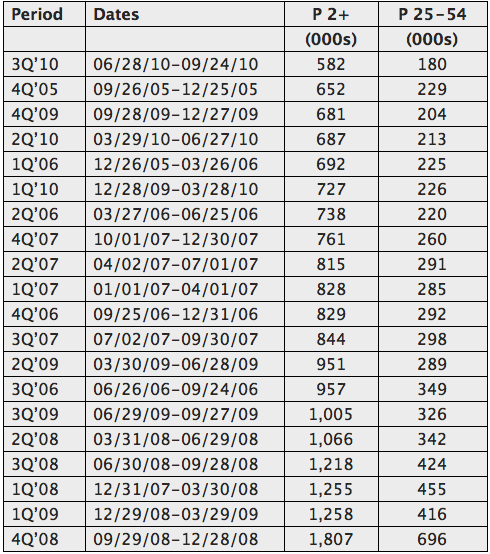 According to TV by the Numbers' figures, 360's ratings have fallen more than 40% in the Adult 25-54 demographic when compared to the third quarter of 2009. New head of CNN US Ken Jautz has his work cut out for him. As CNN’s 10pm flagship Anderson Cooper 360 continues to dive in the ratings. 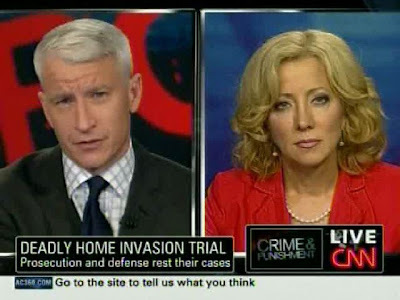 The third quarter of 2010 was Anderson Cooper 360′s worst ever for both average viewership (age 2+) and the news advertiser target adults 25-54 demographic. 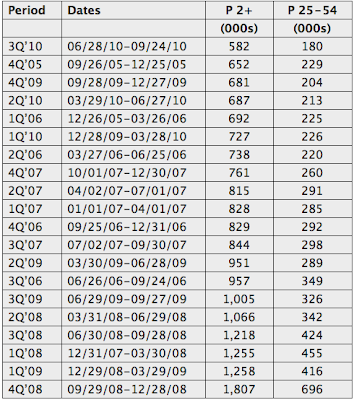 The show was down 42% in viewership and 45% in the 25-54 demo vs. the third quarter of 2009. • "As a staffer I always prided myself in knowing the difference between the organ grinder and the monkey...... I was just a monkey." • "Too many voters use the media like a drunk uses a lamp post, you know more for support than illumination." • quoting De Gualle: The graveyards are full of indispensable men. HOW IMPORTANT IS ANDERSON COOPER TO THE CNN LINEUP AND BRAND? Jautz: Extremely. 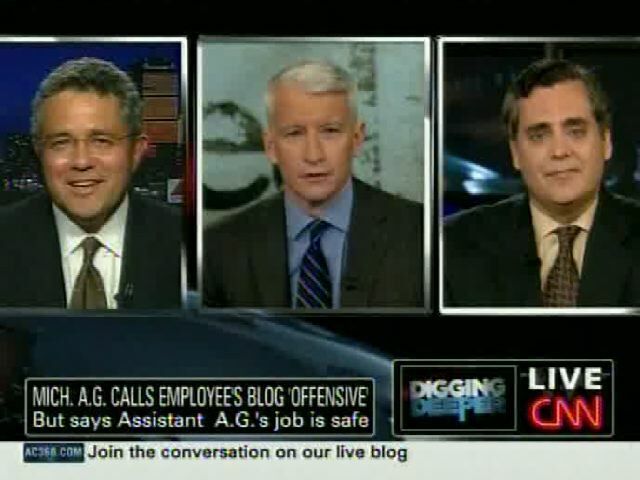 Anderson Cooper is the standard bearer for the type of journalism that CNN has become famous for and that we want to continue to be known for. One of the most memorable stories this year was Haiti, and nobody covered it as comprehensively as CNN, and nobody did as brilliant a job while covering it as Anderson Cooper or Sanjay Gupta and their teams. 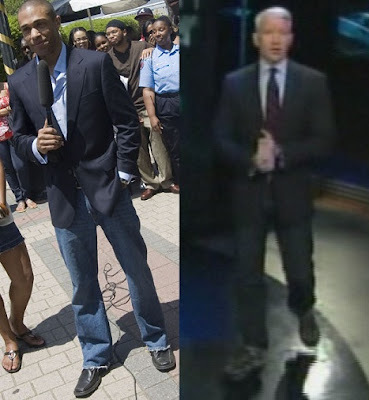 I'm sure TJ Holmes would never presume to give Anderson Cooper fashion advice (in this case he certainly could) BUT we will. If you are going to wear jeans to work get jeans that are the proper wash to wear with a suit coat and the right fit and length (without rolling them up like you did last week). And loose the tennies. If that is asking too much then stay seated behind a desk, please. The shirt, jacket and tie probably cost more than most of our paychecks but looking put together from the waist up just isn't enough for the face of CNN.